Justus Lipsius' De Constantia (1584) is one of the most important and interesting of sixteenth century Humanist texts. A dialogue in two books, conceived as a philosophical consolation for those suffering through contemporary religious wars, De Constantia proved immensely popular in its day and formed the inspiration for what has become known as 'Neo-stoicism'. This movement advocated the revival of Stoic ethics in a form that would be palatable to a Christian audience. In De Constantia Lipsius deploys Stoic arguments concerning appropriate attitudes towards emotions and external events. He also makes clear which parts of stoic philosophy must be rejected, including its materialism and its determinism. 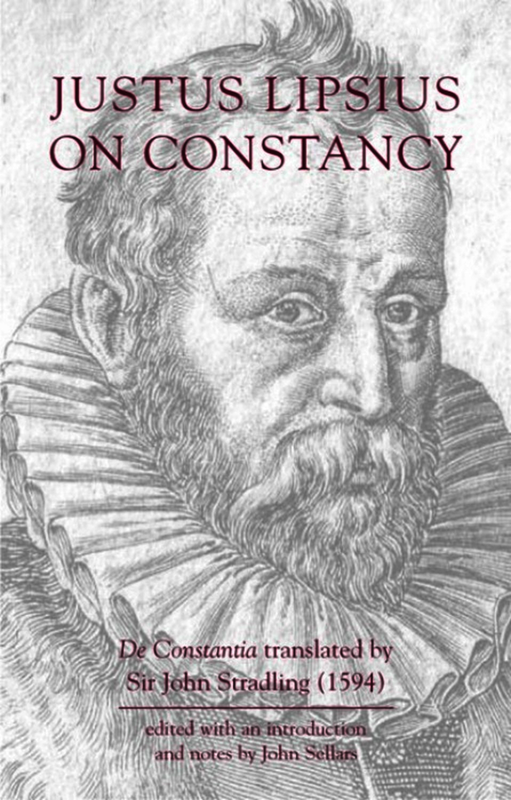 De Constantia was translated into a number of vernacular languages soon after its original publication in Latin. Of the English translations that were made, that by Sir John Stradling (1595) became a classic; it was last reprinted in 1939. The present edition offers a lightly revised version of Stradling’s translation, updated for modern readers, along with a new introduction, notes and bibliography. John Sellars is a Research Associate at King’s College London, working on the ‘Ancient Commentators on Aristotle’ project and on ancient philosophy more generally. He is author of The Art of Living: The Stoics on the Nature and Function of Philosophy (Ashgate, 2004). Justus Lipsius [1547 - 1606] was a Belgian classical philologist and Humanist who wrote a series of works designed to revive ancient Stoicism in a form that would be compatible with Christianity. The most famous of these is De Constantia. In it he advocated a Stoic-inspired ideal of constancy in the face of unpleasant external events, whilst carefully identifying those parts of Stoic philosophy that the orthodox Christian should reject or modify. John Stradling [died 9 Sept. 1637] received his education at Oxford (B.A. 1584), and traveIled on the Continent. He was sheriff of Glamorgan 1607, 1609, 1620, and was knighted 1608, and created baronet, 1611. He was Member of Parliament for S. Germans, Cornwall 1623- 4, Old Sarum 1625, and Glamorgan 1625-6. He founded the grammar school at Cowbridge and was author or translator of a number of books.